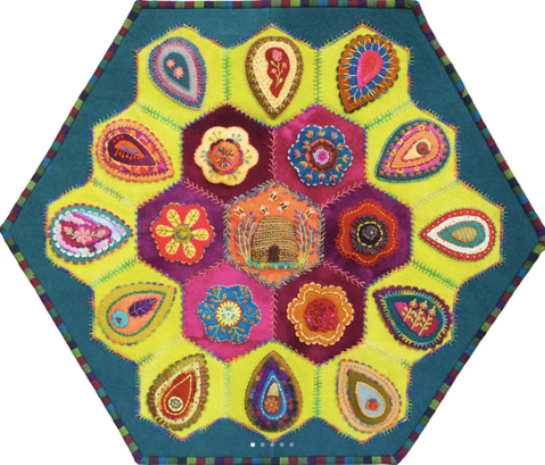 Wool applique and embellishment class for all stitching levels. Good beginner class. Learn 35+ embellishment stitches in this class, along with all the tips and techniques to be successful. Class taught sampler style –- Learn the stiches and you decide how to use them on your project. This BOM includes pattern, all background wool and a collection of wool for the applique, plus class time to learn the stitches. Threads sold separately.